I love to eat clean and most of the time I always make my own lunch and bring to work. Lunch should be filling, nutritious, high in protein (after workout fuel!) and easy to make. 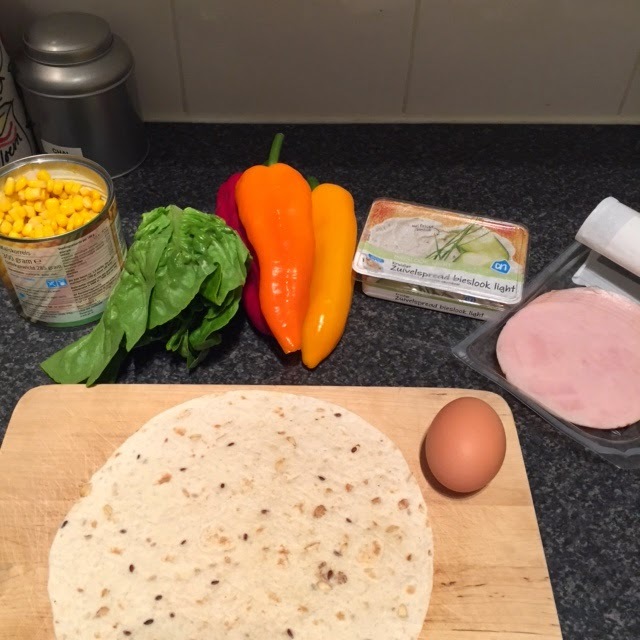 So I thought I'd share one of my new lunch ideas: a healthy wrap! I got my bf hooked, he makes it himself now as well. Hope you'd like it too! Ingredients: whole wheat wrap, egg, turkey& chive spread. And for veggies: baby gem lettuce, peppers and corn. Put the spread on the wrap first, then the lettuce, turkey and on top the veggies and egg. 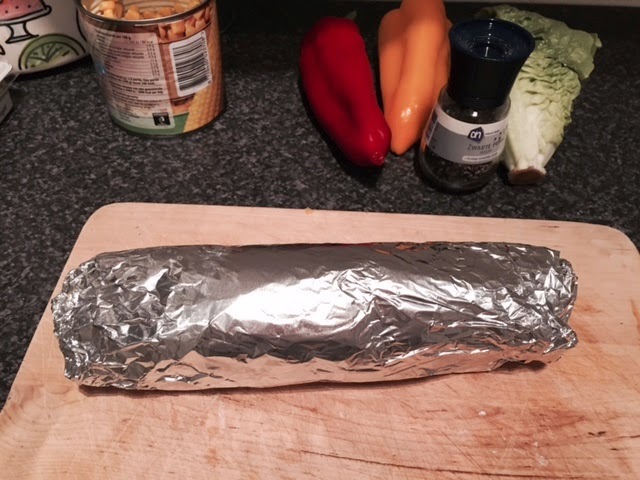 And wrap everything in tin foil. :) Easy!